Total Overdose: A Gunslinger's Tale in Mexico is a 2005 PC, PS2 and Xbox sandbox shooter. 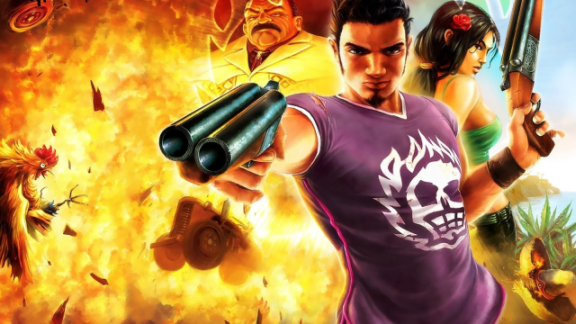 It's often called a GTA-clone, but it's more of a mix of GTA, Max Payne and Tony Hawk. You play as Ramiro "Ram" Cruz, who's trying to infiltrate the Morales Cartel to find out who was responsible for the death of his father (and also to get his prison sentence removed). There's a lot of jumping, shooting and casual racism. Also there is music. How are you playing this? This is the PC version of the game, purchased from GOG.com. The Let's Play is post-commentary and I am joined by the lovely trio of El Tipejo Loco, Iron Chitlin and TorpidTypist. Will you be doing/collecting everything in the game? I'll complete all the side quests to get as many unlocks as possible, but due to there being a lot of content that is essentially the same, I will only show off each mission type once. I won't be getting all collectibles, because there's really no point to it.